This listing is for 2 separate Lots that are side by side. 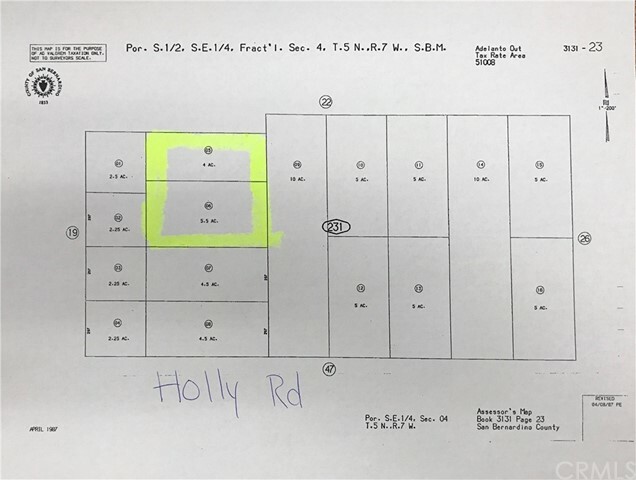 One lot is 4 acres APN:3131-231-05 and the other lot is 5.5 acres APN:3131-213-06 for a total of 9.5 acres. Priced to sell. Directions to property: Off Hwy 18, Wintergreen Rd go North, Holly Rd go East, approx. 1/2 mile on left. Properties are 3rd & 4th lot on the back.